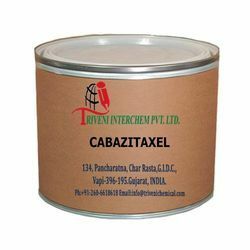 We are a leading Manufacturer of cabazitaxel and cefuroxime axetil from Vapi, India. Cabazitaxel (183133-96-2). it is use in Oncology API and Pharmaceuticals Industry. Storage: Keep container tightly closed. Keep container in a cool, well-ventilated area. Cefuroxime Axetil 64544-07-06 white powder. it is use in antibiotics, bacterial infections Industry. Storage: Keep container tightly closed. Keep container in a cool, well-ventilated area. Waste Disposal: Waste must be disposed of in accordance with federal, state and local environmental control regulations. Looking for Amorphous API ?